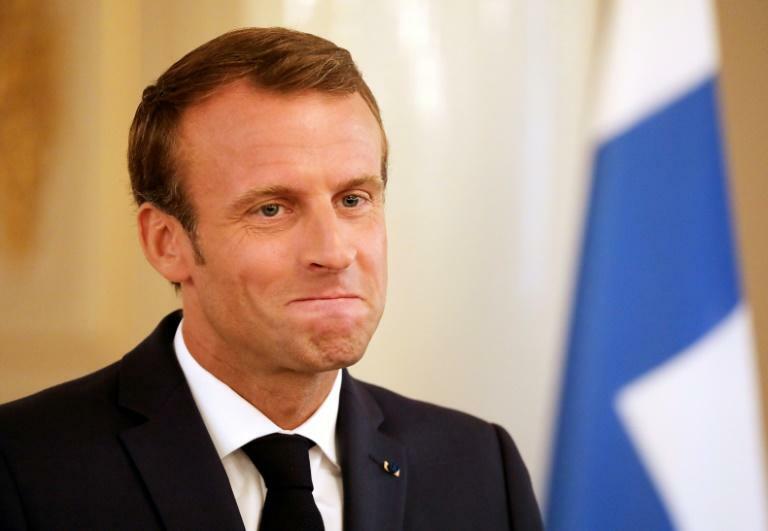 French President Emmanuel Macron came under attack from the opposition on Thursday after describing his countrymen as "Gauls who are resistant to change" during a trip to Denmark. The comments came during an exchange with French expatriates in the Scandinavian country, which Macron admires for its economic model that mixes a strong social security system with rules allowing companies to easily fire workers. "Let's not be naive, what is possible is linked to a culture, to a people who are the product of their history," Macron said on Wednesday. "These Lutheran (Protestant) people, who have experienced transformations in recent years, are not like the Gauls who are resistant to change," he said, using a term for the ancient tribes that roamed France more than 2000 years ago. The remark echoed previous comments by Macron saying the French "hate reforms" and that the country is "unreformable". He prefers instead to talk about a "transformation" under his leadership. The 40-year-old former investment banker is trying to push through his own version of Denmark's "flexi-curity" -- flexibility and security -- by loosening French labour law and reforming the social security system. But the opposition back home seized on the remarks. "As usual, he scorns the French while overseas. The Gauls will take great pleasure in responding to his arrogance and contempt," said far-right leader Marine Le Pen. Leftwing MP Alexis Corbiere from the France Unbowed party denounced Macron for his "staggeringly stupid remarks". "Macron in Denmark is not only contemptuous of his own people but also very ignorant about the Gauls who were incredibly progressive," he added. "It is unacceptable to hear the president stereotype and criticise the French people abroad," tweeted the head of the centre-right Republicans party, Laurent Wauquiez. The president was quick to respond while in Finland where he is on the second leg of his Scandinavian trip. "You need to step back from the controversy and social media," Macron told reporters, describing his remarks as "a light-hearted moment". "I love France and the French people, make no mistake. I love it in all of its components," he added. "It's not contemptuous to say things, the truth. We are not a country with a culture of consensus, of adjustments little by little," he said. He also defended a decision to appoint French writer Philippe Besson as consul general for France in Los Angeles. Besson, who has written some 20 novels, is a close personal friend of Macron and his wife Brigitte who penned an overwhelmingly positive book on how Macron captured the French presidency in May 2017. "There is no cronyism in exchange for favours," Macron said, indicating he would "continue to open up all of the top state jobs to people with talent and strengths from all walks of life." The criticism comes as problems mount for the centrist leader who swept to power promising to end decades of high unemployment and reform the European Union. He suffered a major political scandal this summer when a senior security aide was filmed manhandling protesters, and his poll ratings have slumped to their lowest-ever levels. On Tuesday, he suffered a major blow to his green credentials when his popular environment minister resigned live on radio, saying the government was doing too little and was influenced by "lobbies". Some political opponents accused Macron of trying to create a diversion from these domestic problems, but political commentator Mathieu Chaigne from the consulting group BVA disagreed. "Rather than trying to divert attention, I really think he is talking about his deepest conviction," he said. "He wants a model of risk takers, which is colliding with the French system which seeks protection above all."